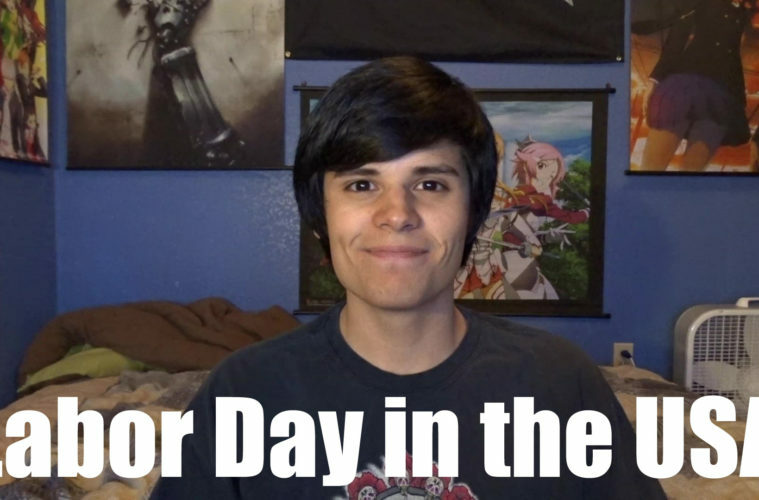 What’s Labor Day like in the USA? Here’s a quick post explaining the holiday to those who live outside the USA. Unlike most of the other holidays in the United States of America, Labor Day doesn’t really have a “theme.” There’s nothing special about it. It’s basically another day off that labor unions fought for many, many years ago. But I guess you can consider that special in a way. Labor Day is always on the first Monday of September. Because of this, many people have three day weekends, and the holiday is sometimes known as Labor Day Weekend. Of course, not everyone can get the day off these days because some companies like to have huge sales, but those who work usually get paid more for that day since it’s a federal holiday. Those who are in school also get a three day weekend. Those who are not in school at that time, usually start school right after Labor Day. Since there’s nothing special about the day, people and families do a wide variety of things. They may just relax, they may barbecue if the day is nice, or they could go on a mini vacation with their three day weekend. One unusual note about Labor Day is that some fashionable people say you’re not supposed to wear White clothing after Labor Day. Why? I don’t know. Fashion is stupid. I don’t know when you’re “allowed” to wear white again because I don’t follow those rules. I think it’s during Spring time? Maybe after Easter? But that’s really all you need to know about Labor Day here in the USA.